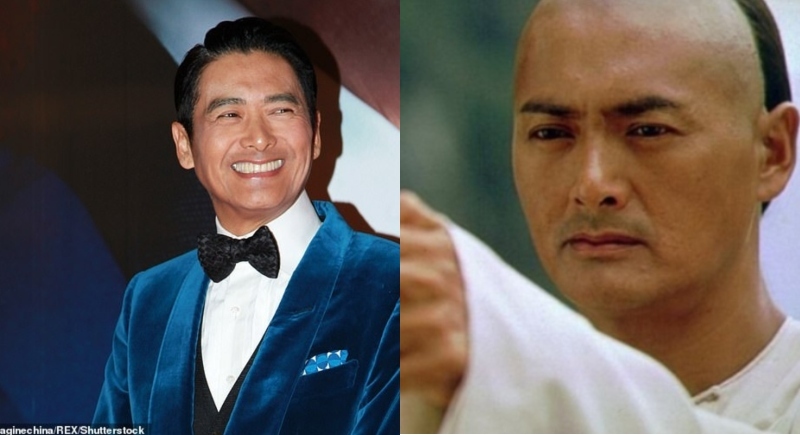 Chinese actor Chow Yun-Fat, aged 63, famous for his movie “Crouching Tiger, Hidden Dragon” and well known for his simplistic lifestyle has amassed a huge fortune over the years for his roles in movies and various other stints. His net worth now stands at around $714 million and he recently disclosed in an interview with the entertainment site Jayne Stars that he will be donating his entire fortune of $714 million to charity. The actor has been saying that he spent $102 per month for himself, living life only on the basic requirements. He has been spotted with the same, age old Nokia handset for over 17 years until he was forced to change to a smartphone only because his old phone gave way(must say Nokia is really, really durable). The actor has also admitted that he preferred shopping for clothes at shops providing discounts and other offers, unlike other celebrities who spend huge amounts on branded clothes. According to him, he wears clothes which are comfortable and enough for his purposes and not for showing off. He reasoned that he was giving away the wealth because he believes that the money does not belong to him, it belonged to the people who went to the theatres, bought tickets, watched his movies and made him famous. He feels loved by the people and he is keeping his fortune with himself for safekeeping. He has assured that he will give up the entirety of the fortune when he deems the time is right to give it away. He says that his childhood dream was always to just live a normal, earning enough to get by and just be happy with his life. He had never imagined that his career on the screens will take off earning him the massive pile of money. He further added that the hardest thing in life is to keep a peaceful mindset and live a simplistic and carefree lifestyle which is further difficult to do when one earns the amount of money he has over the years. His other works include starring John Woo’s films including “The Killer”, “A Better Tomorrow” and “Hard Boiled” which are famous in China. Chow now joins the list of actors who have also made similar pledges, which include: The Clooney couple, Angelina Jolie and Brad Pitt (though after their divorce it is doubtful whether they can keep the pledge), Naomi Campbell, Sir Elton John to name a few.